It’s time for me to change your life… actually, your legs. An epilator is an electronic device that pulls your hair out from the root with a rotating head of tweezers of some sort. It’s like waxing, but more painful and takes way longer. Plus, you’re doing it to yourself so it’s extra painful. I’m making it sound horrible – which it is, at first. But you get used to it and eventually the pain subsides and you won’t be able to live with out it. I try to use it year round but I get lazy and end up just letting my legs turn into monkey legs, and then I have to spend an entire evening icing my legs with frozen peas while drinking a bottle of wine. I’m actually not kidding… I do that. 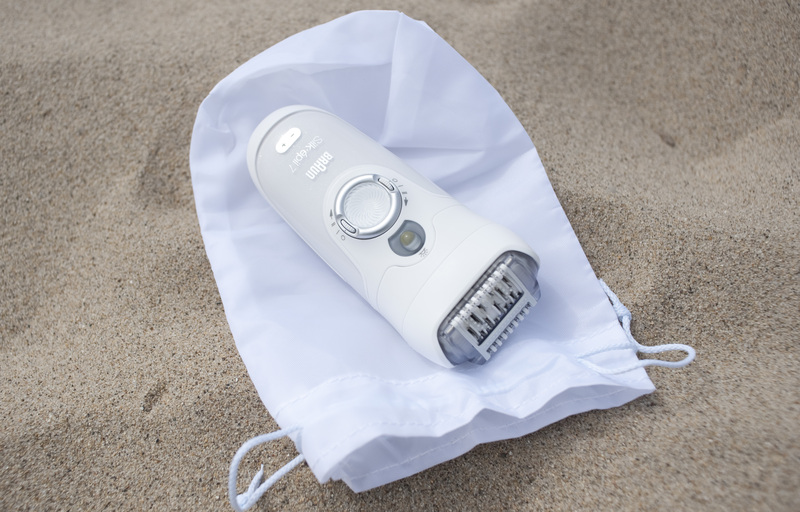 The best way to deal with an epilator is to use it year round and keep it near the shower. A wet/dry epilator is essential because you can use it both in the shower, and somewhere near sunlight where you can see your obnoxious hairs. I’ve found the best part of the epilator is keeping armpit hair in check. I actually do use it on those year round – and I have very sparse grow back. It’s amazing, and so worth the pain. I’m introducing you to this magic device now because my old epilator recently died (after I decided I’d sanitize the head by submerging it in nail polish remover… don’t ask why, I just did. Now it’s broken) and I got this amazing Braun version ($110). I really love this one because of the LED light that lights up even the tiniest hairs, as well as the tweezer head that contours really well to my body. I hope this post didn’t scare you away from epilators, because they’re terrifying but oh so amazing! Get plucking!